An investigation committee has been formed after a scheduled Dubai-bound Airbus 330 of Nepal Airlines was canceled on the night of 2 April after all 257 passengers had boarded because it was ready for takeoff four minutes after the airport closed at 10pm for the night to allow runway repairs. Kathmandu airport is closed between 10pm-8am every day for the first resurfacing of the runway in 35 years. The plane, which was scheduled to fly to Dubai at 9:15pm, had sought permission to tow from the hangar to the apron at 7pm. But Air Traffic Control (ATC) only gave permission to tow at 8:35pm because all three bays for widebodies were occupied. Passengers boarded the plane at 9:35pm, and refuelling was finished at 9:37pm. The engineering team cleared the flight at 9:45pm, and the plane closed its doors two minutes later. The pilot asked the ATC for permission to taxi out to runway 20. ATC asked the plane to hold while a Dragon Air Airbus 330 taxied out for takeoff. 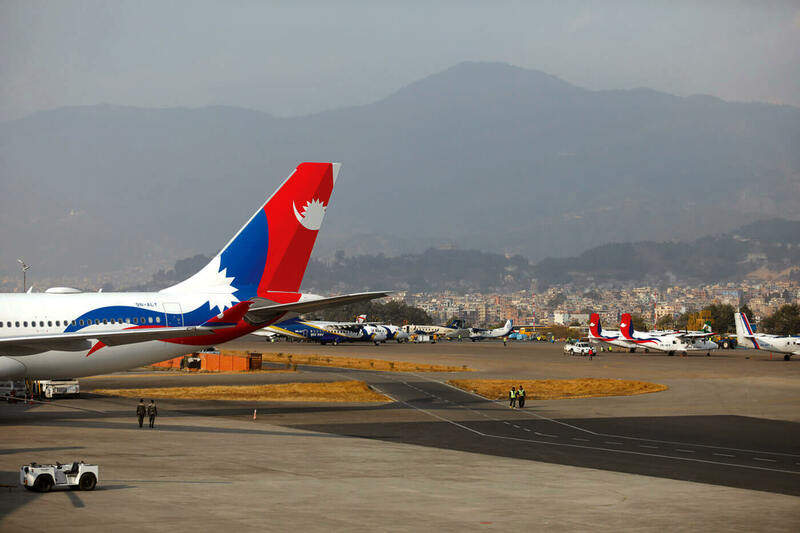 The Hong Kong-bound flight took off 3 minutes before the cutoff time of 10pm The ATC then informed the Nepal Airlines flight that since the airport was closed, it would not have the clearance to take off. 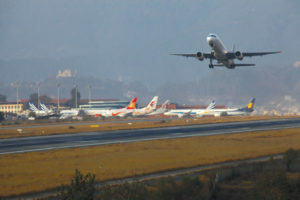 Since 1 April, Kathmandu Airport has been closed for 10 hours daily for runway repairs. Airline staff were livid at the Tower for not even giving a leeway of 5 minutes when it was their fault for delaying the towing in the first place. According to Nepal Airlines, the plane requested permission to take off several times, but the airport officials ignored the pilot. 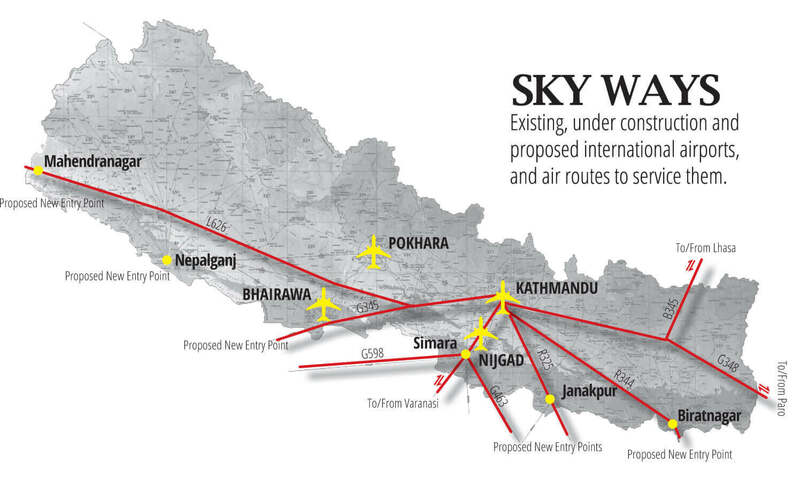 ATC staff say they were busy discussing the request with higher officials, but did not get the requisite permission to extend the cutoff by 5 minutes. Miscommunication between airport officials and plane crew seems to be the cause of the confusion. Nepal Airlines offered to put up all 257 passengers at hotels in Kathmandu, but 163 passengers refused to disembark from the plane, saying they would not budge until the plane took off. 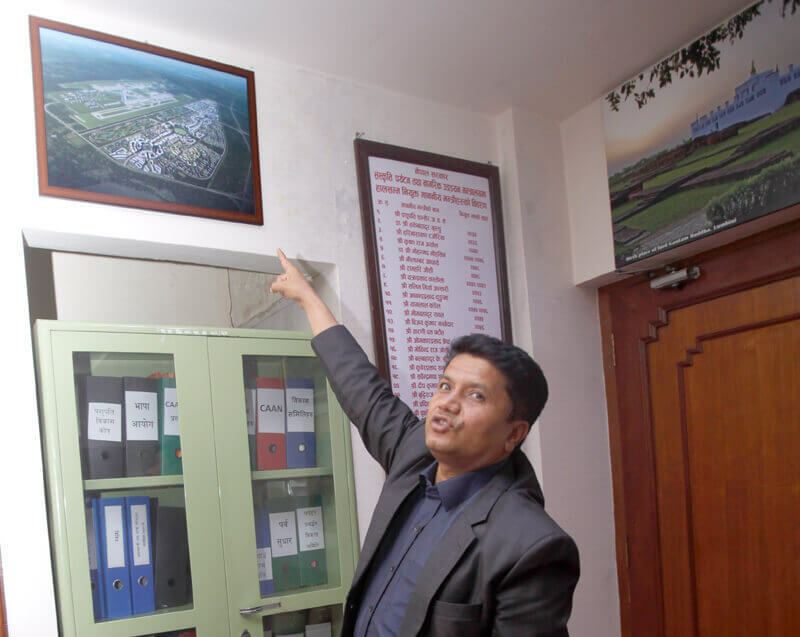 The Airline had to incur a loss of Rs1.5 million to pay for overnight hotel for passengers in Kathmandu and Dubai. The passengers stayed in the aircraft all night, and were finally forced out by police early in the morning of 3 April, and the plane took off for Dubai at 8:45am — 11 hours behind schedule. It was the Home Secretary who is said to have issued to the order to the Police to force the passengers out of the plane by any means possible. According to an airport official, this is the first time in Nepal’s aviation history that passengers spent an entire night in a plane at Kathmandu Airport to protest the delay. Domestic and international flights have been badly hit by the airport closure at the height of the tourist season. The repairs are scheduled to end on 30 June.